Searching for inspiration? Just look up! Choosing a lighter color for the ceiling than the walls can also make a room feel more expansive, especially when it mimics the sky like this den does. We adore the way the sky-blue color ties in with the other natural elements like the cowhide rug and fireplace full of timber. 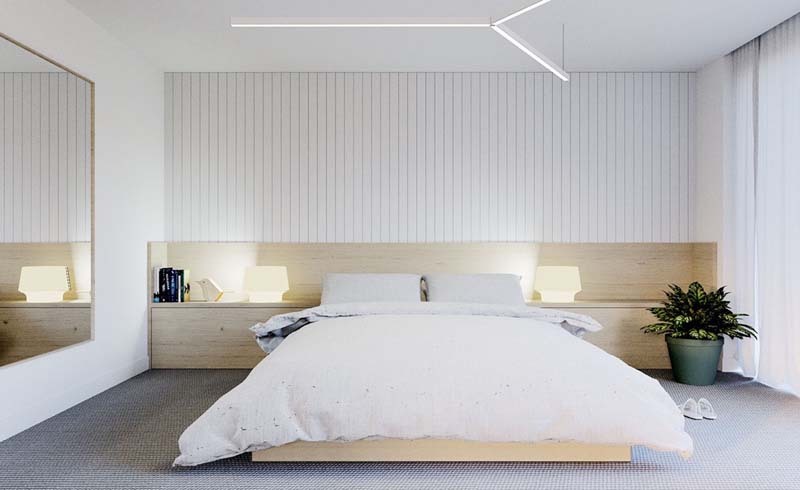 Paint can also bring a ceiling lower (so to speak) which is perfect for making a bedroom feel extra cozy. The warm gray paint here has that effect because it covers both the ceiling and a bit of the surrounding walls, tricking your eye into seeing the borders differently. This homeowner took an often overlooked space, the bathroom, and turned it into an unexpected jewel box. The bright turquoise paint contrasts with the white molding perfectly to show off those architectural details and the stunning claw-foot tub. Seriously, how elegant is this dining room? Painting a wall metallic gold adds warmth and a hint of luxury to a space. Plus, the gloss finish reflects more light and draws attention to any light fixture, like this chic chandelier. If you've fallen in love with a color, go all in! This kitchen looks sophisticated and polished because it's saturated with an all-encompassing hue. To achieve a similar look, pick paint in a medium-tone: too dark can seem claustrophobic, and too light won't have the same daring effect. We would gladly hang out at this barstool. The high contrast between the black ceiling paint and bright white walls shows off the stunning arched ceiling, and references the darker accessories like the stove burners and antique brass shelf brackets. 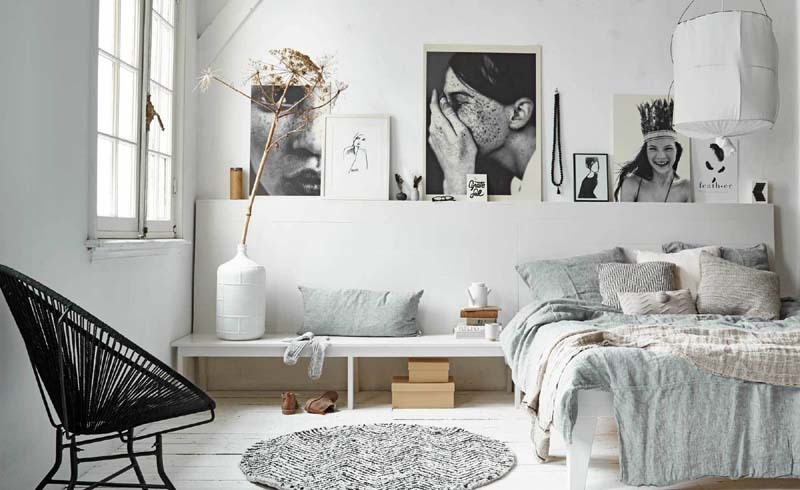 PSA: you can ease into this trend by choosing a lighter color that blends in with your white walls (like this pale gray). The dyed ceiling brings a playful touch to the room without taking away from its traditional aesthetic. The ceiling doesn't have to be the only standout wall in the room, but if you're going to mix bright paints and patterns (like mint and watermelon), the key is to keep the rest of the décor simple. Take cues from this sparsely-filled space, and let the paint do the talking. Common wisdom tells us that dark colors make a room look smaller, but that's not true in every case. Black ceilings, like this one, can look like they're receding into space, making the room feel more cavernous (but also cozy). Try this look out in rooms with plenty of natural light so that they're striking but functional.